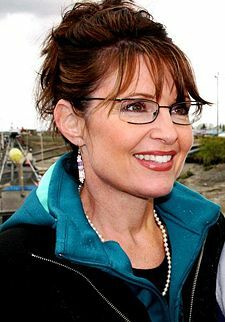 The McCain-Palin camp is so afraid to leave Sarah Palin alone to speak her mind for fear of her saying something wrong and stupid, it is becoming a debacle for the Republican campaign. McCain was forced to retract Palin’s public statements that she would pursue unilateral strikes of terrorists into Pakistan if necessary. “If that’s what we have to do stop the terrorists from coming any further in, absolutely, we should,” Palin said. This statement is in line with Obama’s strategy but against McCain’s. 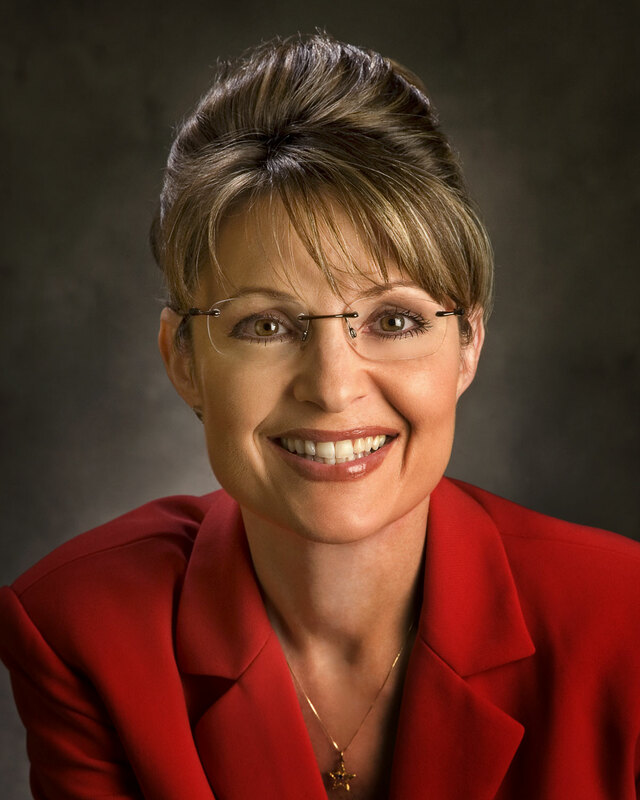 McCain had to retract her statements with a weak attempt to say that Palin and him were on the same page. McCain emphasized Sunday, Palin “shares” his view on the matter. Is he kidding? Sticking a microphone while conversations are being held? Jeesh… That is lame. And in other words, don’t listen to her. Listen to me. And by shares his views, it means she can’t voice her own views. What i say goes. They better get her on the same page as them soon. The VP debate is in a few days, unless they try to delay the debate until after the elections. This is such a joke. So what have we learned since Reagonomics in the 1980s? Individuals cannot be trusted to handle all their money by themselves. In a capitalistic “I want it now” society, putting too much power in individuals has led to through the roof personal debts of all kinds. Credit card debt has mortgaged each individual’s future for the present. Taking on unaffordable mortgages has dramatically increased foreclosures and personal bankruptices in this country. Horribly managed personal retirements accounts, such as 401Ks and IRAs, have seen individuals lose their entire life savings (think Enron, Lucent, MCI, AIG, etc). Corporations, or superhumans, cannot be trusted to look out for the interests of individuals and society. The main goal of corporations is to make money. It is not to help society. Of course they still do because helping society creates a better image of them, and thus can lead to better sales. Corporations are run by greedy managers whose huge salaries are usually not tied to performance anyways. Even if the company tanks they are usually given nice little golden parachutes. Management of Enron, MCI and other companies simply lied and drove the companies into the ground. They did not care about their own employees at all. So if individuals and corporations are not to be trusted, who is left? The federal government. However, Reagonomics has also shown that the Feds are also just as incompetent at looking out for the interests of the individual. National debt, deficit, dollar, and whatever other metric you want to use has gone in the completely wrong direction with larger government involvement. The current financial crisis, the housing bubble, and the dot com bubble have all been directly due to horrible decisions of the Feds. If all three are undependable to take care of money and society, then who’s left? Who to trust? Is a big government better or a small government? One thing we have known is that the Feds have done some nice things in the past, when it actually stood for something. The Social Security program was a great idea, and only became an impending financial crisis because of the irresponsibility of recent administrations. The national highway system is still the best in the world. If we can put an administration that is trustworthy and seriously believes in solving the domestic problems of this country, the Feds are our best choice. A big responsible government in this day and age is our only chance to solve the upcoming crises we will have on our hands. Those crises include faltering infrastructure, national debt, slowing technological competition, education, Social Security, Medicaid/Medicare, crime, poverty, global warming, etc etc. There is no way a small government will be able to handle all these problems. 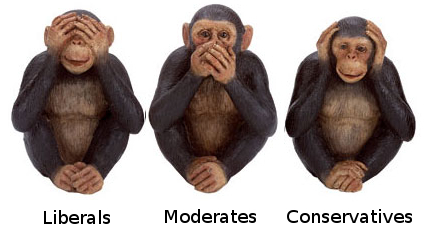 Moderates. The Silent Majority. We are so quiet. Sociology works in interesting ways. Most people are simply interested in going about their lives in some habitual way. They are afraid of major changes and do not want to draw attention to themselves. We see this with all aspects of life. In NFL football, most players just go about business. Some of the most amazing players probably didn’t get enough press because they are too normal. This group includes Marvin Harrison of the Colts, and Barry Sanders of the Lions. However, the select minority get the most press and popularity because they are loud, brash and opinionated. This group includes Terrell Owens, Chad Johnson and Warren Sapp. Everyone has been through this going through school. The class clowns, bullies and pretty girls and jocks draw all the attention. Moderates need to learn to speak! Which brings this to society in general. Most of America are moderates. Neither strongly conservative or strongly liberal. They just want a decent life that includes a nice paying stable job, a nice supportive family, be as healthy as possible and live in a nice safe neighborhood. I like to think I belong in this group although I tend to want to voice my opinions every now and then. But even as I’ve started this blog I’m slightly uncomfortable ripping on either conservatives or liberals. This type of moderate lifestyle is perfectly fine in normal lives, but it becomes a problem during presidential election years. The majority of Americans, whom are moderates or centrists, get completely drowned out by the extreme left and extreme right. So what happens instead is that the direction of this country is always decided by extreme and minority views. The middle simply gets hijacked by either side. The moderate Republicans get hijacked by the ultra-conservative evangelicals of the right that screams of fear mongering, idealogy, and emotion. The moderate Democrats get hijacked by the ultra-liberals of the left that screams of anything goes individuality regardless of morals. Our country is becoming completely divided because of these two totally orthogonal views. The moderates, who are the majority, have no voice. We are quiet. We fall into the chatter of the minority. We get emotional and for a few months we lose touch with logic. What happened to good ole logic and pragmatic problem solving? Our infrastructure is crumbling. Our middle class is shrinking. Our national and personal debts are through the roof. Our country has major economic catastrophes on the horizon to deal with. Our education system is one of the worst of the industrial countries. Our cities are handcuffed by assault weapons. We are losing the war on drugs. Our earth is getting destroyed, regardless of global warming. Our population’s obesity is the highest in the world. Our infant mortality rates are one of the highest. Seriously, shouldn’t we be concerned with these problems and our backyard before worrying so much about ideology and going to war? Wake up America. This election should not be about breaking barriers or making history by electing the first African-American or the first female. This election should not be about pro-life/pro-choice and pro-gun/anti-gun. 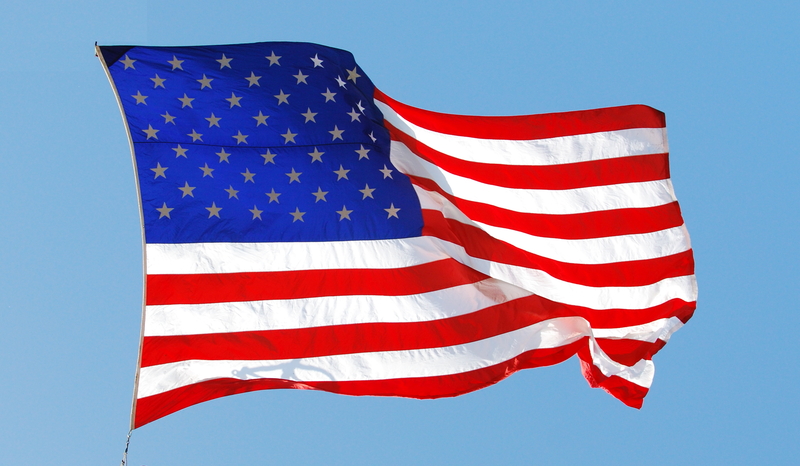 This election should be about fixing America in a pragmatic way. Whoever is the best candidate for that, regardless of party. This is why I believe this two party system is destroying America. It is leaving the voice of the moderates and the majority of Americans out of the loop. 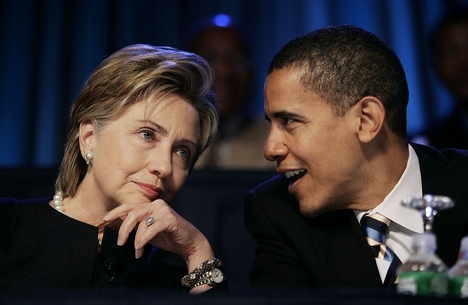 The presidential race has not been as exciting as the Democratic primary race between Obama and Hillary. With the public inundated with Obama news the past 3 months, there are signs of Obama-fatigue in the public. This has allowed McCain to take the first lead ever in the Reuters/Zogby poll. McCain’s 46% to 41% lead over Obama is more about Obama-fatigue then McCain making a huge comeback. This is dangerous territory for Obama. What has always been his strength is the excitement he has brought to the political arena as a newcomer and bringer of change. However, if the public starts seeing him as “old news”, then he must find some way to invigorate the party and independents. 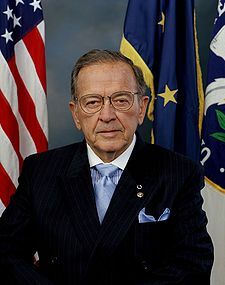 His best and possibly one of his last chances at doing that is the upcoming vice-presidential selection. Names such as Biden, Kaine and Bayh would help in certain demographics but would not provide the excitement or unity that the Democratic party needs so bad. The only name that would do that is Hillary Clinton. Although there is still bad blood remaining from the primary race, making such a move would mean so much to the party. It would unite the party and bring the remaining Clinton supporters off the sidelines or out of the McCain camp and back into the fold. It would also show that Obama really is about making the right changes and is not afraid to select anyone. Hillary still seems like a long shot, but Ralph Nader, the independent, believes that is exactly what will happen. With rumors of McCain possibly picking a non-typical Republican, such as abortion-rights supporters Joe Lieberman or Tom Ridge, the view of McCain as a maverick might be evoked once again. Although McCain might turn off the strong evangelical Republican base if he does that, he would attract independents and even Hillary supporters. Obama must go on the offensive now, after a month of McCain attacks.